The Portuguese explorer Vasco da Gama landed in Kappad Beach in 1498. He was the first European to reach India by sea. He came to establish a trade route between his native Portugal and the Malabar coast. Kerala has always been famous for its spices and that was also the main reason why ancient traders followed the ‘spice route. There was strong demand in Europe for spices like pepper, cardamom, clove, ginger, cinnamon and turmeric. 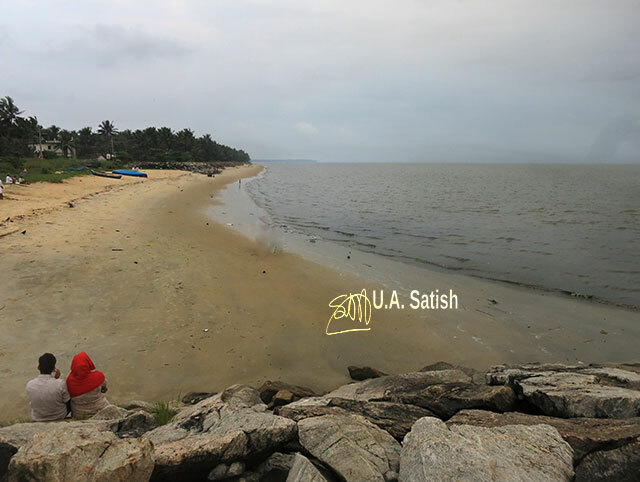 From Kozhikode Railway Station, the beach is 21.5 km by road. The drive takes 40 minutes and goes via Elathur. The return fare by an autorickshaw will cost about Rs 450. 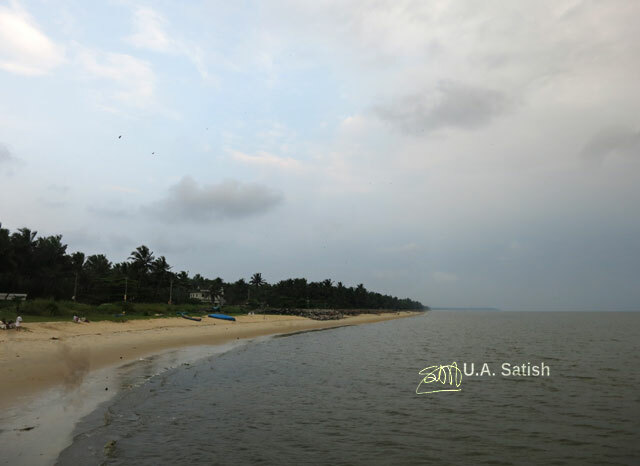 There are two beaches in Kappad: one near the bus stand and another a little farther down, known as Vasco da Gama Beach. 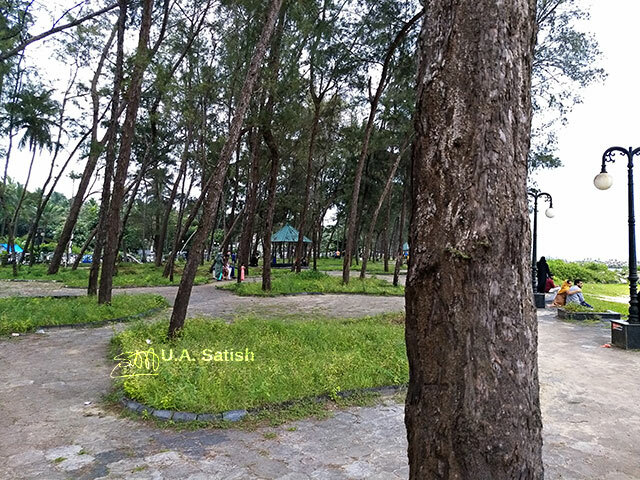 There is a small park near the Vasco da Gama beach. The beach is clean. 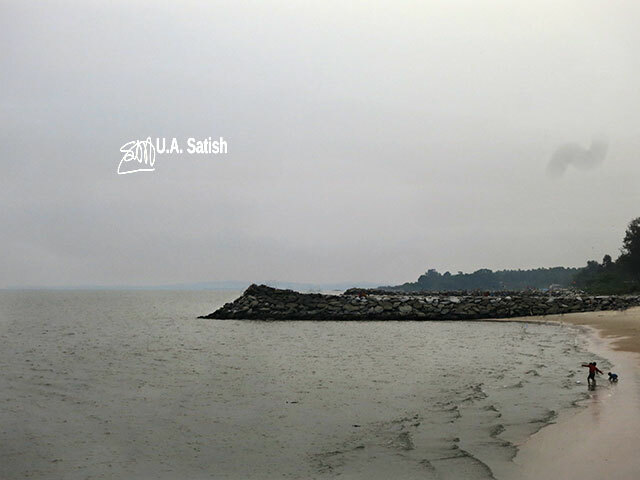 The sea looked dark and the waves were gentle. Swimming is prohibited. Erected by the roadside to commemorate the landing of Vasco da Gama is a stone plaque. It is in a state of disrepair. You may miss it if you are not keeping a look-out. The beach is usually crowded on holidays. It is pleasant to walk on the beach in the evenings. The sunsets are spectacular. There are a couple of shacks selling tea and snacks. Water sports or boating is not available. The only resort in the area has sea-facing rooms and a restaurant. 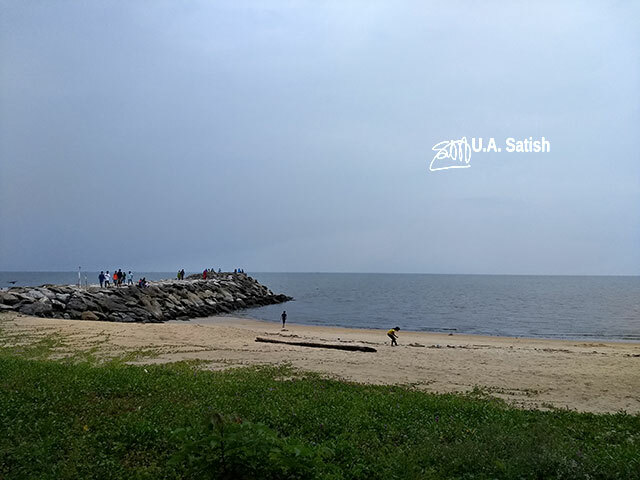 A couple of breakwaters or pulimuttu stretch into the sea. 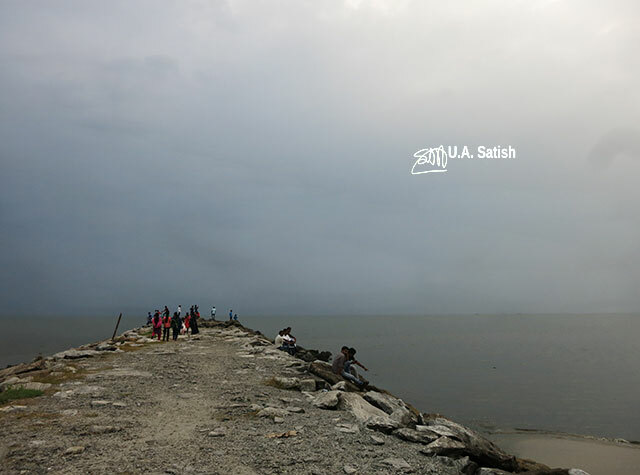 The breakwaters have been built by piling rocks in the sea and help in checking sea erosion.